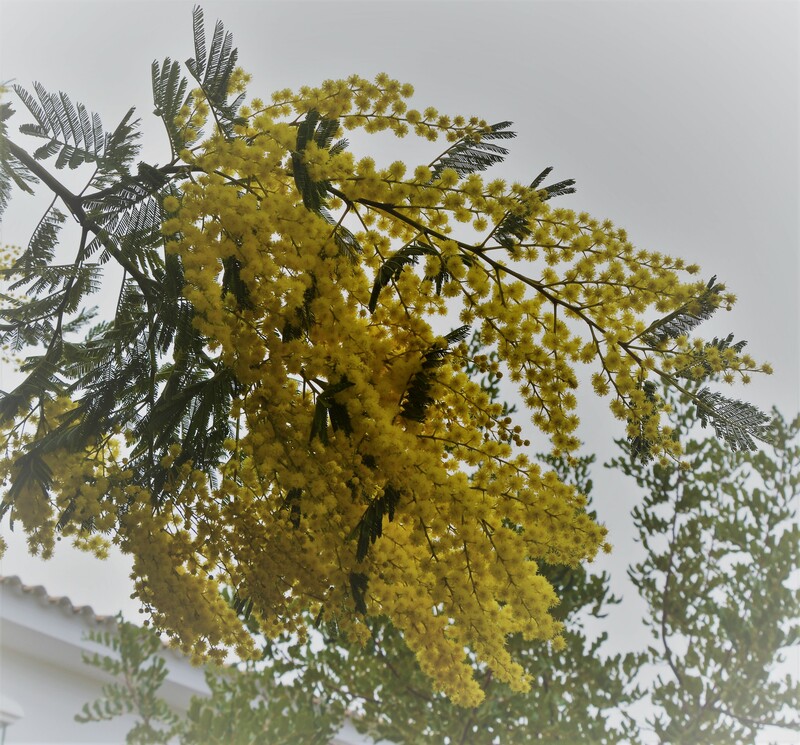 It is impossible not to photograph the clusters of yellow flowers of the mimosa. 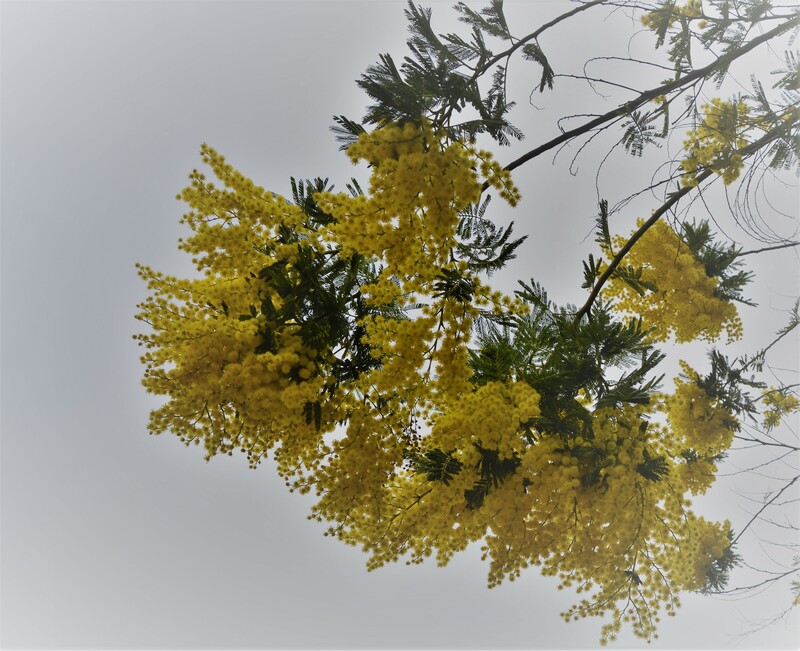 Do you also know the red mimosas? I did not know there were red mimosas. They are all yellow here. Precioso ! !…eso sí muy de primavera. Una explosión de color. Un espectacular anuncio de la primavera. Pero que llueva, por favor.